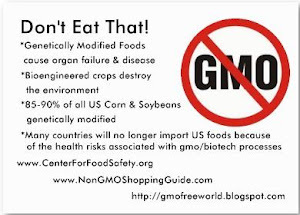 You will see scanned reproductions (exact copies) of some of the Food & Drug Administration's (FDA) internal memoranda about the hazards of genetically engineered foods. These documents became available through the Alliance for Bio-Integrity's lawsuit (Alliance for Bio-Integrity et al., vs. Shalala, et al.) to gain mandatory safety testing and labeling of these foods. The large numbers on the bottom of each page (i.e. 18952) are the Administrative Record (A.R.) numbers affixed by the FDA. In order to make these documents easily accessible, we've saved each page in two different formats: one intended for viewing on your monitor using your internet browser (click on "View Document"), and one formatted in PDF suitable for printing onto a 8 1/2" X 11" sheet of paper (click on "View PDF"). To print the PDF files you will need free software called Adobe Acrobat Reader. If you don't already have Adobe Acrobat Reader, you can download it here. Depending on your computer and internet connection, downloading Adobe Acrobat Reader may take up to fifteen minutes. You may find that the best way to view and read the documents on your monitor is to select the PDF files; they are larger files and therefore may take slightly longer to download, but the Acrobat Reader enables you to enlarge or reduce the image size to fit your monitor. "... about the activities of groups or individuals that could pose a risk to company personnel or operations around the world which were developed by monitoring local media reports and other publicly available information. The subject matter ranged from information regarding terrorist incidents in Asia or kidnappings in Central America to scanning the content of activist blogs and websites." The spokesperson told Scahill he was told Total Intelligence was completely separate from Blackwater. "... A death-tech firm weds a hit squad." "... Monsanto, by hiring a mercenary army and former CIA field agents, is deadly serious about protecting its deadly products. Yet, this contract further discredits the company. The public can now paint an even bleaker picture of the firm that brought us Agent Orange, PCBs, rBST, DDT, aspartame and, now, hitmen." "The above quote is pretty scary and indicative of how corporate interests are acting against our own, though most of us already knew that. For any of the deniars who tried to refute that such tactics were used, one need only look at the plethora of information coming out about Xe and Blackwater due to the scandal in Iraq. Thank you for contacting me regarding food safety legislation. I appreciate your comments and concerns and am glad to have the opportunity to respond. In this global economy, food ingredients originate from a number of possible sources, are sold at competitive prices, and are introduced into our nation's food supply. This may drive down food prices, but it also exposes our nation's food supply to possible contamination by a source that is not easily identified. We are all well aware of the recent outbreaks of food-borne illness and nationwide recalls of contaminated food from both domestic and foreign sources. I understand your concern regarding an unnecessary expansion of government and there are a number of bills in the House regarding this issue that I am concerned about and am currently monitoring. I believe there is critical need to protect our nation's food sources from wide-spread contamination and outbreaks without compromising our nation's farmer and food processors. I am a cosponsor of S.510, the FDA Food Safety Modernization Act of 2009. This bipartisan legislation will help ensure the safety of our nation's food supply by improving the Food and Drug Administration's capabilities to oversee food inspection. Specifically, S.510 will enable the FDA toestablish preventive plans in food-processing facilities that identify and prevent potential hazards from occurring. Furthermore, this bill will give the FDA the ability to issue mandatory recalls on food products, increase capacity to detect and respond to food-borne illness outbreaks, and establish a pilot-program testing food traceability measures. S.510 was last placed on the Senate Legislative Calendar for debate. Please rest assured that I will keep your thoughts and concerns in mind regarding food safety as we go forward in the legislative process. Introducing Corn Salt! Heck, why not "Corn Everything?"! The Corn Refiners Association (CRA)—the trade organization that champions high fructose corn syrup—announced Tuesday it has applied with the Food and Drug Administration to approve a more innocuous name for what they say is merely "corn sugar." Come on, people! Do you think we are that gullible???!!! Let's just go ahead and start naming various spices and food products Corn-Blank. For starters, we'll call pretend salt, "corn salt". See video from whistleblower who worked for the pharmaceutical industry as she tells us point blank that these companies are in the business of keeping people dependent on drugs - not in the business of healing. That would put them out of business, which doesn't make sense. Big Pharma makes 5 to 6 times more than any other Fortune 500 Industry in the United States. Something must be done to stop the rampant mis-use of drug production and prescription in America! Local Farms Could Be Illegal if S510 Passes! Outrage in America! S510 Bill must NOT happen. Americans should be able to grow their own food. Small farms should NOT be illegal. GMO's kill. Monsanto and their lobbyists must go! Clarence Thomas must be removed from the supreme court. 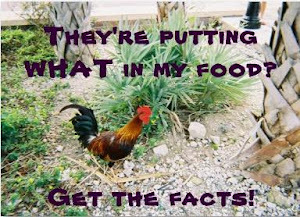 The FDA and USDA must be investigated. Large corporations are trying to control all the food in America and throughout the world. This must stop! Contact your governor today! UC-Davis has just published an extensive report on the fraudulent labeling of extra-virgin olive oil. Imported olive oil has been known to often have fraudulent or misleading labels, now certain US brands have been found to be mislabeling their olive oil as well. "More than two-thirds of common brands of extra-virgin olive oil found in California grocery stores aren't what they claim to be, according to a report by researchers at UC Davis, " said the Los Angeles Times in the story linked to below. Scroll down to page 10 of the UC-Davis report here for the chart of the various brands. The tests to determine extra-vrigin oil (acidity, peroxide level, etc.) are listed and described. "Lab tests cast doubt on olive oil's virginity"